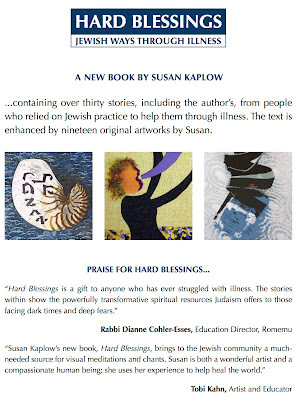 A new book by Susan Kaplow. Containing over 30 stories, including the author's, from people who relied on Jewish practice to help them through illness. With 19 original art works by Kaplow. More info and paypal for buying a copy on her website:www.susankaplow.com.